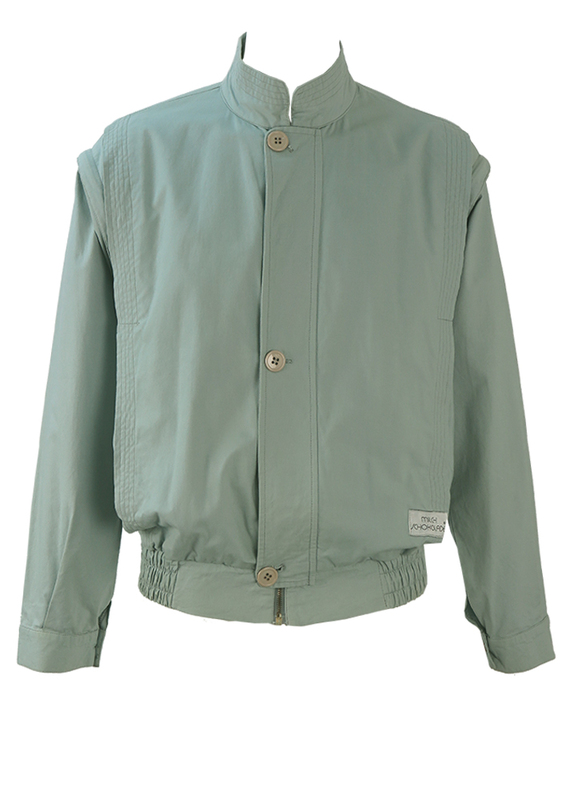 Vintage 1980’s bomber style jacket in a lovely light blue/grey colour tone with some great design touches. 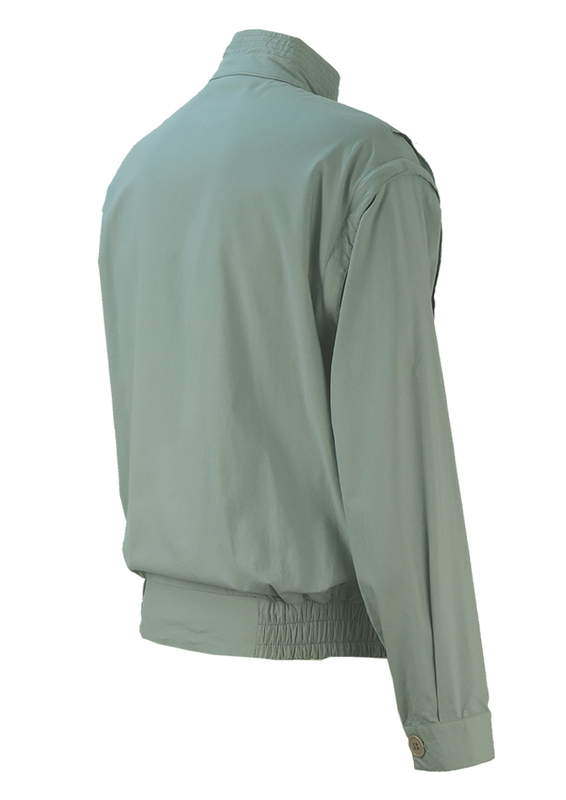 The jacket features a double layer at that runs at the edges from the shoulders and down the front of the jacket with triple stitch detail and concealed side seam pockets. 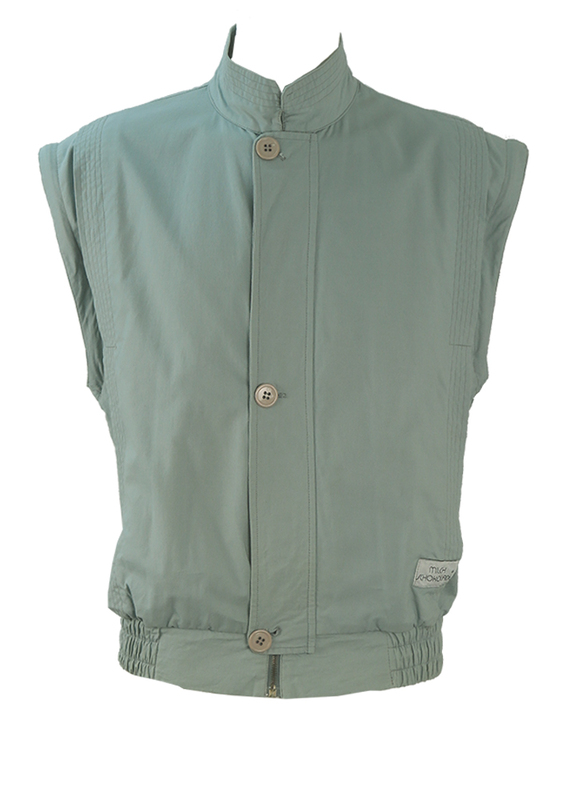 There is also the added bonus of removing the sleeves via a zip to create a gilet style jacket. 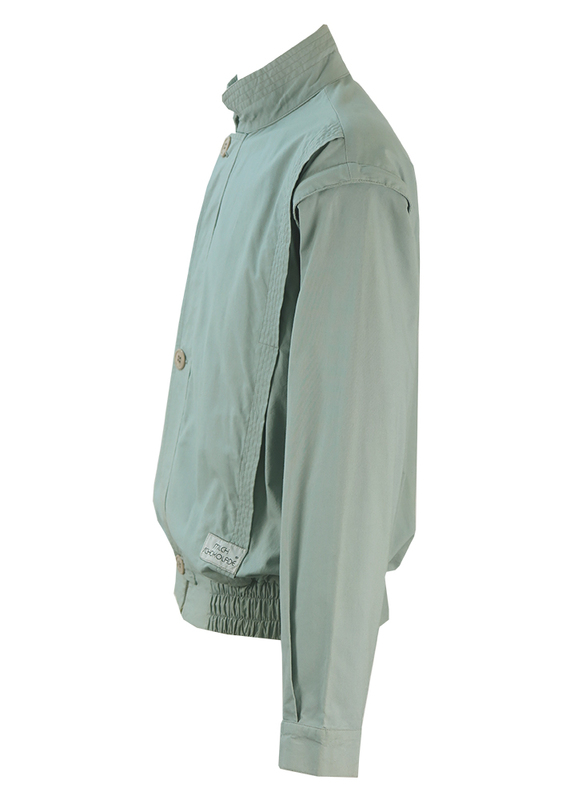 The jacket is 100% cotton and quite sturdy in texture and fastens with a concealed zip over which is an additional layer of fabric for buttons. 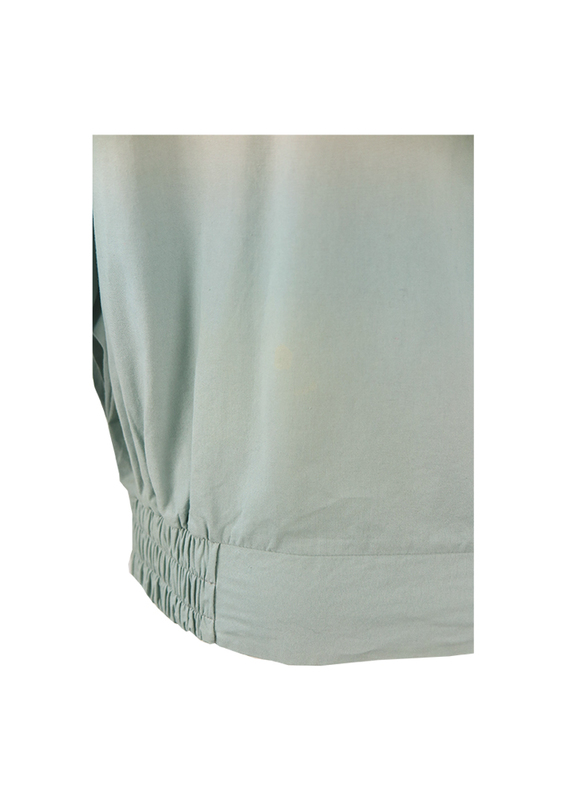 The jacket is overall in good condition, however there is a faint bleach-like mark at the back near the left hem and a visual has been added to show this. 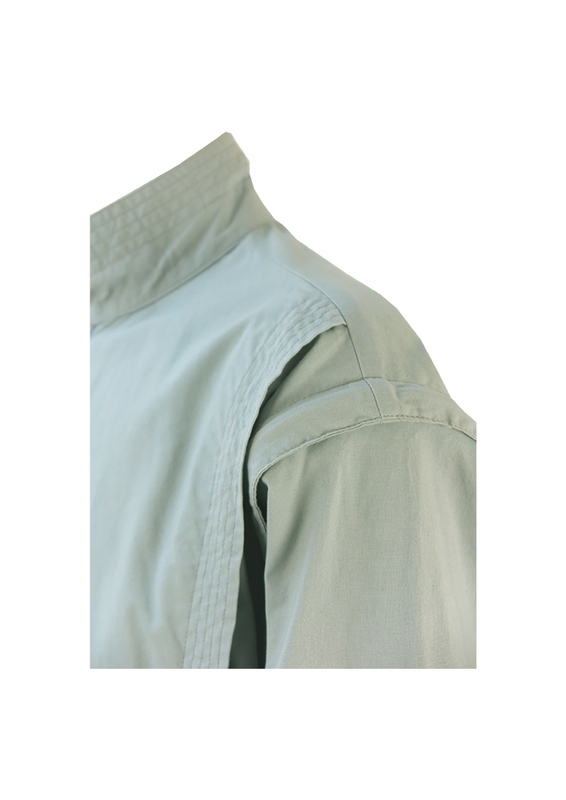 There is also some minor fabric puckering in parts and very minor discolour at the cuff edges – both of which are not very noticeable. 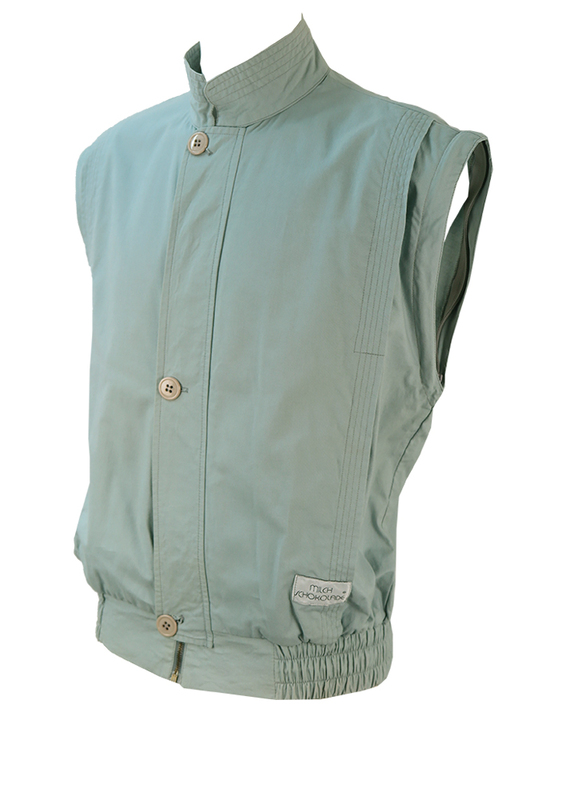 We have however reduced the price from £40 – £25 to allow for this. A unique one off with plenty of enjoyable wear left!